Book below or call 833-TL TRIPS (858-7477). 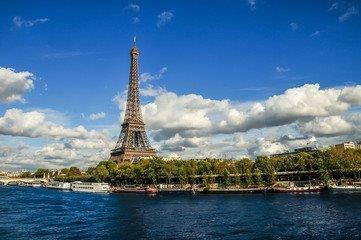 Join WHBY`s Dave Edwards, Host of "AM Fox Valley," for an unforgettable tour of France and Normandy! With 2019 being the 75th Anniversary year of the D-Day Landing, follow in the steps of this historic event. This amazing tour includes visits to the battlefields, bunkers and museums from WWII. 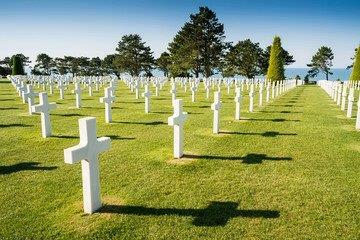 Experience the American Military Cemetery with a local expert. Packed with stops in some of the most beautiful places in France; including Paris, Rouen & Honfleur. 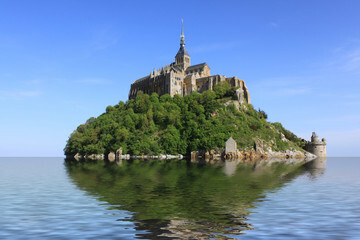 Enjoy a scenic drive through Bocage Country & along the Emerald Coast to visit the stunning hilltop abbey of Mont-Saint-Michel. Journey through the Loire Valley and experience the region`s delicious wines, where a local vintner will guide you through the tastings. Loire Valley: Pass moated Angers Castle. Wine tasting in Saumur. Journey to Chateau d`Usse, which inspired the writing of "Sleeping Beauty. Loire Valley: Enjoy your beautiful chateau hotel with its high standard of creative cuisine. Visit the glorious gardens of Chateau de Villandry. Not Included: Roundtrip airfare on room only bookings, travel insurance, gratuities for airport porters, tour guides, motor coach drivers, meals (other than those included in the package), optional excursions, baggage fees and any items of a personal nature. **A minimum number of passengers is required for the Host and/or Travel Leaders-Discovery World Travel tour manager to accompany this group. Hotels, tour itinerary and tour inclusions are subject to change. **Flight schedules are subject to change and Travel Leaders-Discovery World Travel has no control over flight changes, delays or cancellations. Tickets will be non-refundable once issued. Changes will be subject to a fee plus any fare difference. Additional restrictions may apply. A minimum number of passengers is needed for group air & motorcoach transfers. **Valid passport is required to travel, with 6 months validity past the last date of travel.